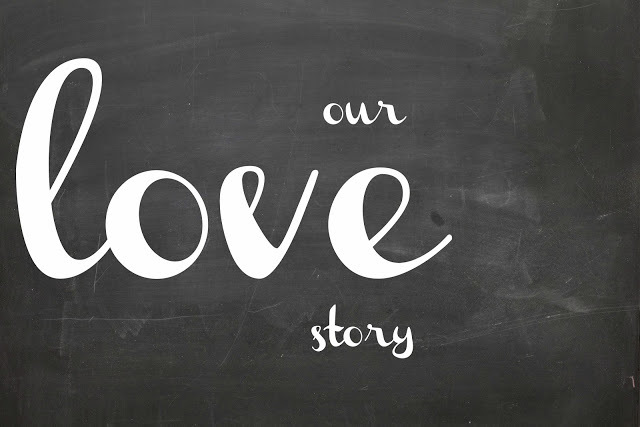 our love story, chapter 7. Today marks a lot of things in our country. It swells up a lot of obvious emotions. Of course I think of September 11 and what it meant for our nation as a whole. It saddens me to think of the ways we've forgotten in some sense certain aspects of that day. Our country seemed so united then, all wrapped up with similar feelings of justice and pride for the red, white, and blue. As to not go off on a political tangent, I'll also tell you that it first reminds me of September 11, 2009 when I first met Benjamin. It's the day I received these sunflowers at LAX when we first met after I nervously bought a new dress at J.Crew. That dress is now part of my maternity wardrobe so you can get a sense of how modest I wanted to be, was, and still think that I am. That day we drove up the coast, got fish tacos, and spent the rest of the weekend getting to know one another. We had been talking for about a month leading up to this and I told him we should meet sooner or later. I still tell people that I would have ended it had we not met and had God not opened our schedules to get to know one another better. I speak more on that in Chapter 5 of our love story and Chapter 6 I talk about ring shopping. In honor of this day I thought I'd continue on to Chapter 7. It's really time I started this thing up again, especially before the babe comes. In light of that, I'll try to add some more meat here. And so, we had looked at rings. As many would say, this was a done deal for us. We knew. My Mom always said when you know you know and I think that applied to both of us here. Although we are extremely different in many many ways I think we both looked at each other, knew we had found our spouse, and were confident in that decision. As any girl would wonder, I wasn't sure when the engagement would come and it made me extremely nervous. We met each others families around the holidays and I knew that after I had met his family he had talked to my dad about proposing. I was freaking out. I'm not sure if I appeared cool, calm, and collected to him, but to me, I was freaking out. I think he'd know that more now, having seen me in this state a few times now and knowing that I am not a patient person. And so, another trip was planned, this time him coming to Santa Barbara. The ring shopping had happened, the meeting the families, had happened, only one thing left to happen, right? Oh, I should note that I may or may not have looked at dresses. I would probably open my mouth wide and go "oh my word!" now if someone told me that without a ring on their finger but yes, it had happened. I was back home in Ohio and went with a friend and also back in Virginia and went with my Mom. It seems crazy to say that all now but I think we were assuming I'd go back to California and we wouldn't be able to do the shopping there? Regardless, here's a shot of me in the dress we ended up getting. It has to be a small image because it was taken with a pretty bad cell phone at the time and making it any bigger makes it even more grainy. Benjamin arrived in Santa Barbara and I of course picked him up then we headed to the Boat House to get a walk in and maybe some happy hour before it got too dark. It was high tide and already pretty dark so I remember it wasn't the best walking weather. We didn't have too far we could even walk down the beach. He could tell I was nervous at this point and so we stopped. As in most stories like this, I'm not sure exactly what happened next. He got on his knee, pulled out the ring, said amazing things, we kissed, I said yes, and we nervously went back to tell our parents. I'm pretty sure my Mom said something like "Well good Benjamin because if you didn't I was going to have to come get on a plane!" Oh, Ruth. We decided to have a celebratory drink at the Boat House then headed to our friends house to tell them the news. Girlish screaming ensued and the rest of the weekend is a happy blur to me. YES! i love this story. thanks for sharing it, lb.